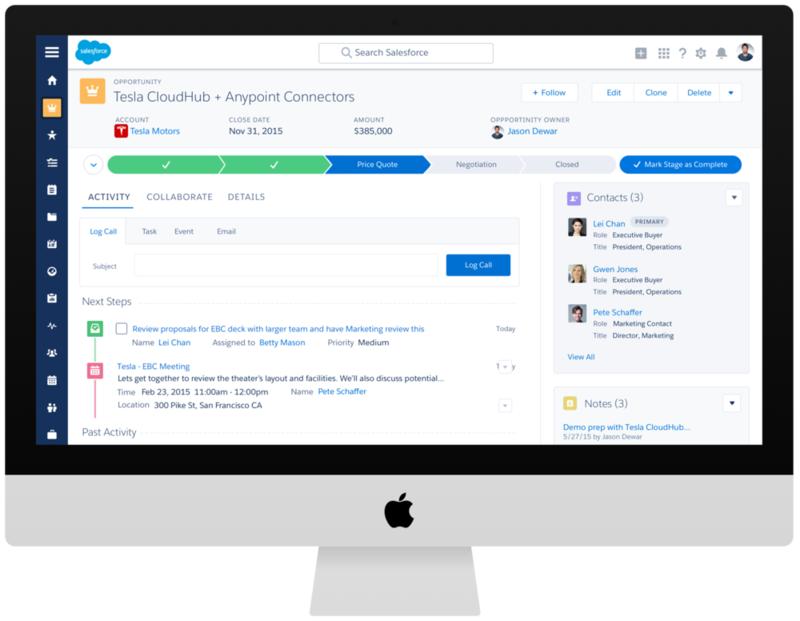 Lightning is Salesforce's completely revamped product experience. 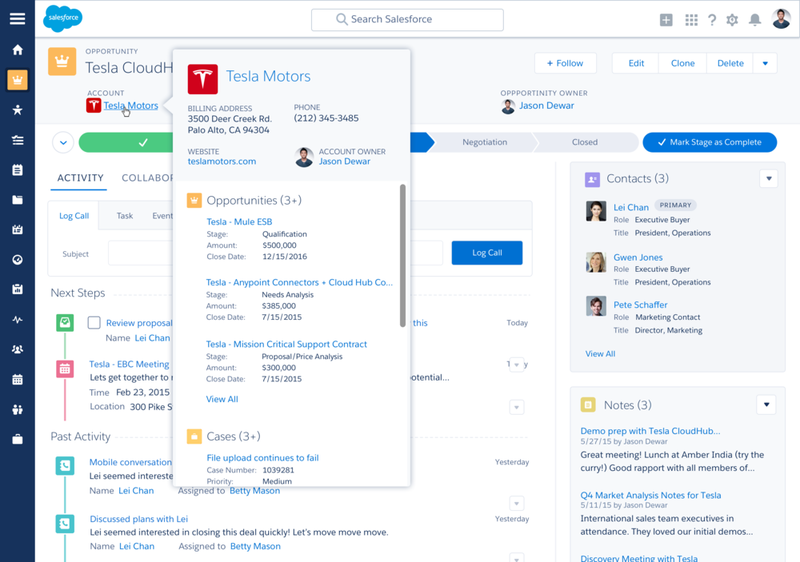 While Salesforce has long been the leader in Customer Relationship Management (CRM), its core desktop user experience had not changed in over 10 years. 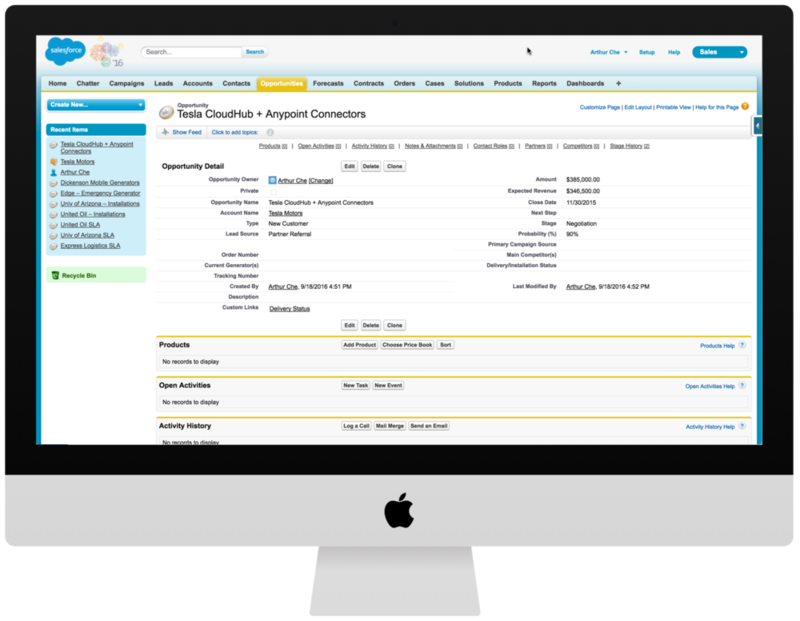 Lightning represents the culmination of a multi-year desire to update the company's legacy user experience. If we could start over, what kind of CRM experience would we create? We focused on the most core use cases for sales reps, Salesforce's true bread and butter users. We started with the micro-moments in a sales rep's daily workflow — meetings and communications — before going into macro experiences, like managing deals, relationships, and accounts. Through rapid research and iteration, we crafted a series of signature experiences, flows, and interactions that became the foundation of the new experience. In my role as a product designer, I helped bring Lightning from ideation to implementation. After releasing in August 2015, Lightning was featured in Fast Company, VentureBeat, TechCrunch, Business Insider, Forbes, and many others. My favorite feature in Lightning is the Opportunity Kanban board. 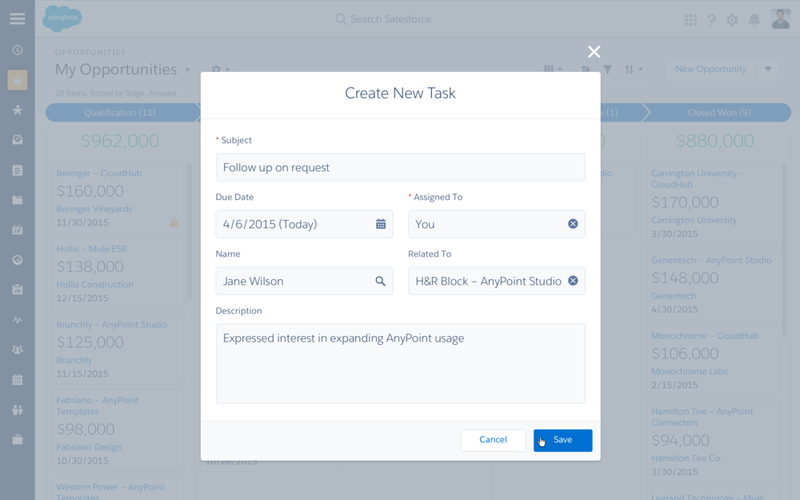 When viewing opportunities (the Salesforce term for sales deals) in the classic UI, a sales rep can only see them as a list of records — a legacy of Salesforce's database roots. Users expressed loud and clear that they expected a better way to view their work. After iterating on new ways to show and manage opportunities, one particular version resonated most strongly with customers. 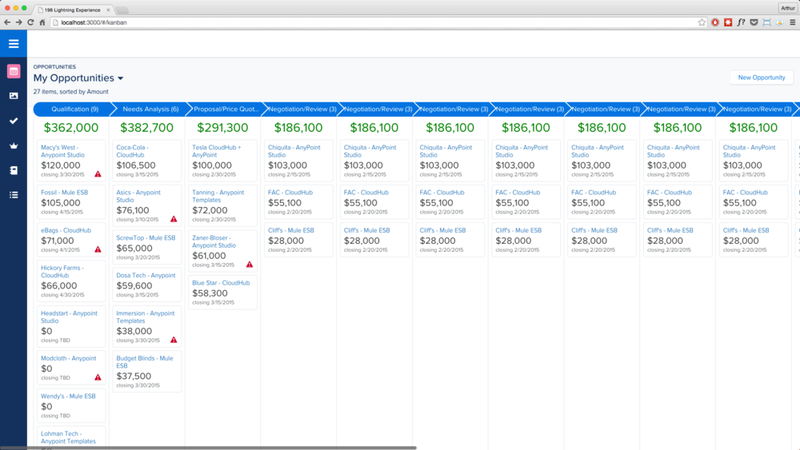 Opportunity Kanban takes inspiration from agile workflows and modern project management tools to provide an out-of-the-box overview of active sales deals. It allows users to drag and drop deals as they progress, and shows a simple calculation of how much potential revenue is coming in from the pipeline. It also flags deals that need attention, enabling sales reps to stay on track. The opportunity itself is the core object of a sales rep's universe. 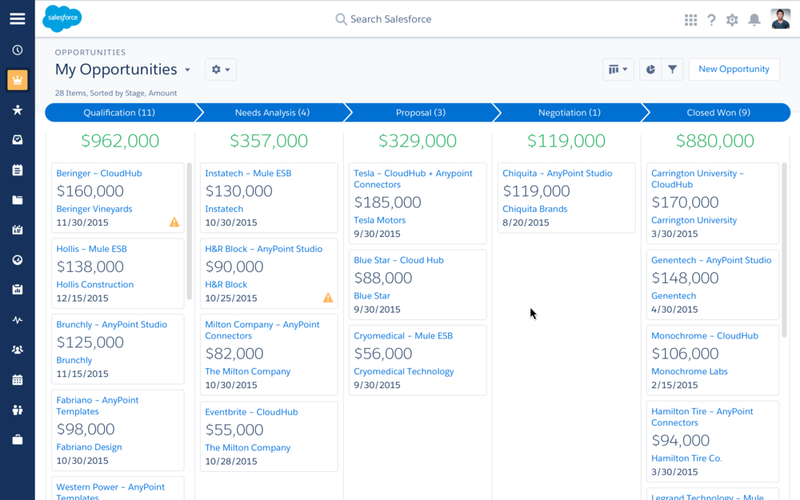 During research, we found that despite the fact that Salesforce has always treated opportunities as database objects, sales deals are actually more of a process that reps go through over and over again. Instead of a bunch of fields and values, we started thinking of opportunities as a workspace where sales reps can go to do their work. The result was the Opportunity Workspace, a new version of the opportunity that gives sales reps everything they need in one place. We worked closely with users to determine the most valuable pieces of information and minimize the amount of context switching required throughout the day. The Opportunity Workspace emphasizes progress and activity, and ties together all of the information required to successfully work a deal. 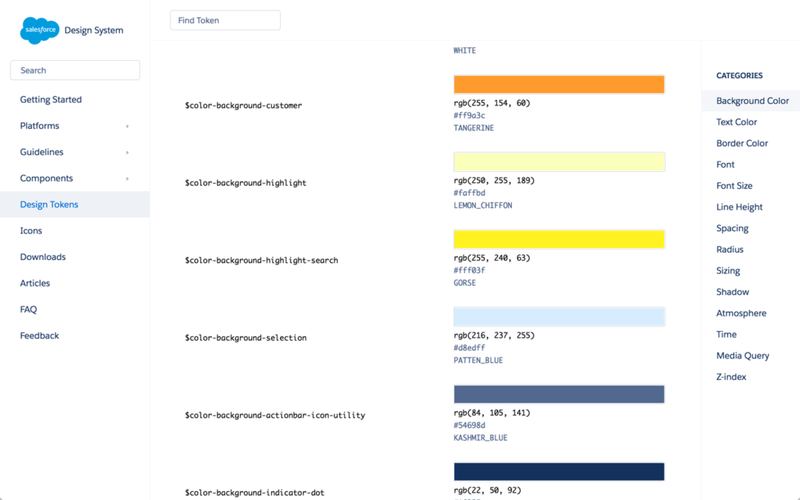 I contributed heavily to the Lightning Design System, a set of components and guidelines for Salesforce app experiences. As a product designer for Lightning, my role was to work with the incredible UX engineers and CSS wizards on our Design Systems team to define design principles, interaction patterns, and component requirements. These guidelines could then be reused not only internally, but also by developers and partners throughout the Salesforce ecosystem. The Lightning Design System allows us to scale designs out to our growing design team more effectively, and do a lot more design and prototyping directly in the browser. It also changes how we deliver designs to engineers — we now use components and design tokens instead of hard-coded CSS values in redline specs.